A small wedding is ideal for couples that prefer to celebrate their formal union with just a few special people. Brides who are not professional event planners (i.e. most of us!) often find that organising a small wedding is fun and much less stressful than the complicated logistics involved in an event for 300. Here are a few tips for planning a small wedding in the Hunter Valley to help you pull together the core elements of a fabulously intimate and highly personalised event. No matter the size of your wedding, setting a budget is still the key to having a successful event, without a financial hangover. Deciding to have a small wedding doesn’t mean missing out, either. In comparative terms, a small wedding budget can stretch farther than a budget for a big wedding, because you have so many more options. For instance, when you need a reception venue for hundreds of guests, the venue cost typically gulps half your budget in one hit! Planning for an intimate event opens up so many choices, as you’re not limited to venues which can handle big parties. Another advantage is that you might not need to book quite so far ahead. An expensive venue that you have been sighing over, but can’t afford, might also be a possibility if you’re not paying for quite so many people. Do you have a favourite beachside café for example? Why not look into the cost of hiring the whole place? If a beach wedding suits your style, there may be little better than an intimate sunset ceremony followed by a boho evening at a small venue just metres away. Or, imagine a small marquee overlooking rolling hills of grape vines, or a classy waterside restaurant. The Hunter Valley is a gorgeous setting in which to get married, and options in our directory range from beachside venues or lush garden settings to vineyards and restaurants. Planning a small wedding may mean you have more opportunity (and time!) to get involved in creating personal design touches with flowers, place settings and even the entertainment. It’s likely that with fewer people, you’ll have more to spend, and you can do more with less. 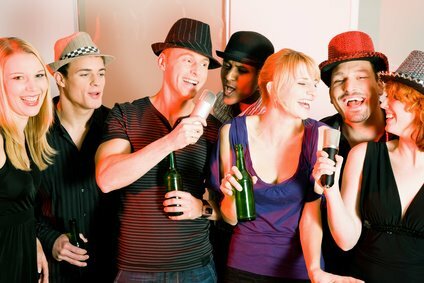 For example, entertainment might be able to be whittled down to one or two musicians, or simply something like a roving cartoonist or magician. If you need fewer place settings, you might be able to really go all out on bomboniere. And it’s not just about stretching your budget further either. Having a smaller, more intimate wedding can be a lovely experience. There’s something wonderful about being surrounded by just the people who love you best as you take your vows! You might think it’s possible to do the catering yourself for a small wedding. But unless you have friends or family who are caterers, it’s typically less stressful to leave the preparation and service of food in the hands of dedicated professionals. If you choose a venue that doesn’t provide catering packages, check out some of the catering options in our directory. Just because your wedding is small doesn’t mean it shouldn’t still be planned and executed with a little help. 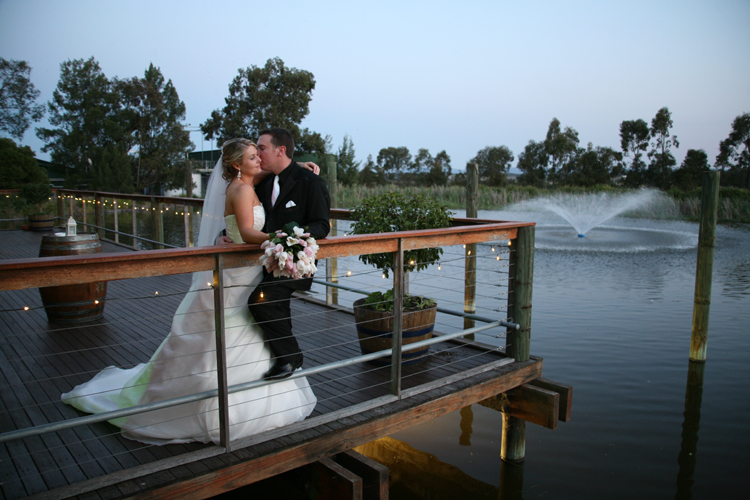 To make your small wedding in the Hunter Valley extra special, we’re here to help. Our directory brings together everything you’ll need in order to create a very special intimate wedding, from caterers, to venues specialising in small weddings, to florists and dress designers. May we be the first to toast the happy couple? Many people are choosing to minimise the impact of their lifestyle on the planet, and when it comes to your wedding, it’s perfectly possible to hold a stunning event based on a sustainable philosophy. In this post, we showcase Tambourlaine Organic Wines, and its restaurant venue, the Tambourlaine Lodge. It’s a perfect place for an eco-friendly wedding to remember! As well as being Australia’s largest organic wine producer, with some award-winning wines under its belt, Tambourlaine is a carbon-neutral winery. First established in 1966, the winery was bought in 1985 by a small group led by current Managing Director and Chief Winemaker, Mark Davidson, and proudly publishes its environmental policy. Tambourlaine is committed to ensuring its environmental impact is minimised. The management actively works to prevent pollution, and incorporates sustainable water and energy management, including recycling and minimising waste into the winery’s working practices. In 2012, Tambourlaine was a state finalist in three categories in the Australian Bridal Industry Awards, for the sixth consecutive year. The awards are based on bridal couples’ votes on the quality of service, and value for money delivered by venues. Tambourlaine was also the only Hunter Valley wedding venue to reach the top 20 in the 2011 National Designer of Dreams award. With over 10 years of experience planning and delivering award-winning weddings, you can be confident that the people at Tambourlaine know how to turn your wedding ideas into a day perfectly tailored to your wishes. They make a particular point of getting the details exactly right, down to the smallest bow and the fold of every napkin. The aim is that you don’t have to worry about a thing except making sure the photographer gets your best side! The homestead-style Lodge is designed to be close to nature with wide, shady verandahs supplemented by a delightful deck extending out over the lake. The Lodge provides a blend of indoor comfort with a natural outdoor atmosphere, and enables guests to move in and out freely. There’s no need to worry about other visitors to the winery either, as the private Lodge grounds are reserved for the exclusive use of the wedding guests. The main reception room can be decorated in a number of ways, including full or part ceiling drapes for a marquee effect, and tiny lights to simulate stars in the night sky. There is room for plenty of tables as well as a generous polished wood dance floor on which to boogie the night away. The lake plays its part as night falls, and the central fountain is dramatically lit to heighten the romantic atmosphere. A display of fireworks creates a stunning note with which to herald your departure on honeymoon. If you’re looking to hold a wedding with a green heart, Tambourlaine Lodge might be just the place, with its beautiful natural setting, excellent service, and environmental credentials. Making an appointment to visit Tambourlaine Lodge is simple with Hunter Bride, just click on Tambourlaine Organic Wines. Booking a sustainable, environmentally friendly wedding couldn’t be easier. Why not take along some girlfriends and spend an afternoon sampling the fine food and wines at Tambourlaine? Wedding planning was never so relaxed! Living a sustainable lifestyle and caring for our planet is increasingly important to lots of people. 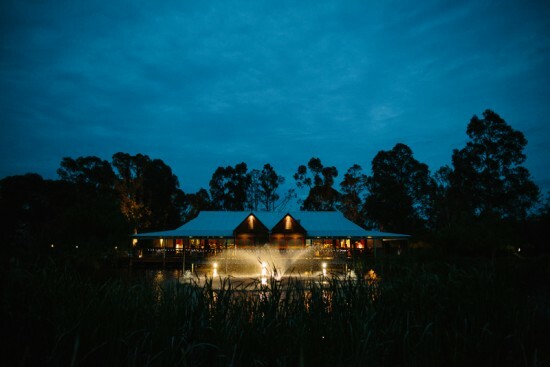 While there are many wonderful wedding venues in the Hunter Valley, in this article, we highlight a couple of winery restaurants that offer an elegant wedding and fine dining experience built on a sustainable philosophy. Having a sustainable Hunter Valley restaurant wedding doesn’t mean compromising on the event either – you can rest assured you’ll be working with experts in the art of celebration. These venues are able to accommodate your desires, whether you want a simple affair or a more lavish formal event. The Tambourlaine Lodge at Tambourlaine Organic Wines offers individually tailored packages. The Tambourlaine Lodge sits in a spectacular lakeside setting, and features an outdoor deck that’s perfect if you need extra reception space, or simply want to have cocktails outside. Inside, there is plenty of space, and the layout can easily accommodate a number of round tables for guests, as well as a top table for the wedding party, and still leave plenty of room for dancing on the polished wood floor. The ceiling can be fully or partly draped to achieve a marquee effect, and once darkness falls, the lake fountain and deck are romantically lit as the dancing gets underway. Fireworks over the lake can also be organised for a spectacular finale. Outside you can walk down a real red carpet to your wedding ceremony, or tread a carpet of rose petals. The landscaped grounds create an elegant backdrop for photos, and you can even arrive by helicopter! Tamburlaine is a great choice if sustainability is important to you and your partner. Tamburlaine is a carbon-neutral winery, and Australia’s largest organic wine producer. 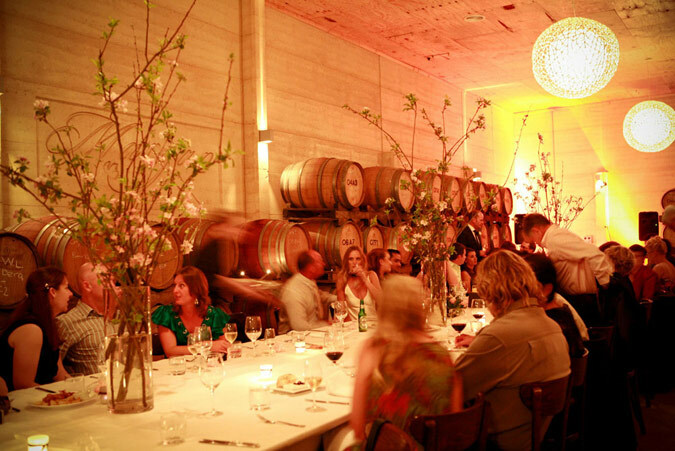 Margan winery is the place to go for stylish yet unstuffy celebrations. Friendly, professional service showcases quality wines complemented by an award-winning dining experience. Margan winery is in the pretty village of Broke, and stunning views of the Brokenback mountain range make for spectacular wedding photographs. 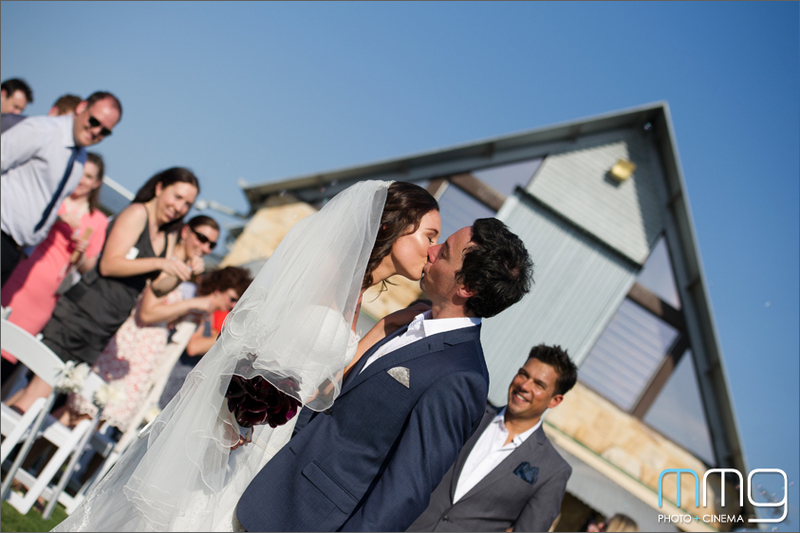 Margan can accommodate large or intimate weddings with equal ease. There are two beautiful outdoor ceremony locations to choose from, and your reception can be held in the stylish Margan Restaurant or in the larger Barrel Room, aptly named for the rows of casks lining its walls. The award-winning Margan Restaurant is acclaimed for its food, which is equalled by the quality of the winery’s equally award-winning wines. Margan takes its environmental commitments seriously. This includes a huge organic kitchen garden which supplies 90% of the produce used in the restaurant. The company advocates low-food and resource mileage, which means always buying local and buying environmentally friendly products where possible. In addition, used cooking oil from the kitchen is recycled to fuel the winery’s tractors! It’s simple to choose a venue for a Hunter Valley restaurant wedding, just look at the list of tempting options in our Hunter Bride directory. Investigating potential restaurant venues is super easy too. All you have to do is grab a friend and make a reservation. Just remember that you might need to fit in an extra gym session afterwards! Are you getting married in the Hunter Valley? Lucky you! Although planning a wedding is a big project, you’ll be spoiled for choice when it comes to choosing a wedding venue in this fabulous location. However, perhaps we can make life a little easier by recommending one of our favourite Hunter Valley wedding venues – Restaurant Cuvee at Peterson House. Multi-award winning Restaurant Cuvee is an integral part of the Peterson House estate. It is beautifully sited amidst landscaped lawns and cottage gardens, which set off its charming sandstone walls and airy ceilings with exposed timber beams. Lanterns strung amongst the trees increase the inviting, intimate atmosphere as twilight falls. The venue is ideal for an elegant, stylish wedding, with stunning views from the deck over rows of manicured vines for you and your guests to enjoy. The gardens are a treat for the senses too, whatever the season. Should you be getting married in spring, you’ll find the spectacular cherry blossoms are definitely a highlight. With so many settings and backdrops to pose against, your photographer should have little difficulty in creating wedding photographs that will bring a smile to your face every time you look at them in years to come. Restaurant Cuvee can handle both ceremony and reception for you, and you may have the choice of an outdoor ceremony as well, depending of course on the weather. The venue can accommodate small, intimate weddings and larger celebrations of up to 140 guests. This iconic venue has its own wedding co-ordinator to help take the strain out of organising your day, and make sure you enjoy a seamless, highly personalised event. Nothing is left to chance, not even the weather, as there’s always a Plan B, just in case the ceremony needs to move location – which means you can relax, knowing you’re in safe hands. With so much experience to call on, your co-ordinator knows just who to go to whatever you need, although Restaurant Cuvee can provide themed decorations, chair covers and even a red carpet! Peterson House specialises in producing the finest sparkling wines, so you won’t be short of a bubble or two at this venue! The vision of producing traditionally made sparkling wine grew out of the founder’s desire to celebrate the birth of his first grandchild and the whole ethos of Peterson House is one of celebration, making it just perfect for weddings! The word ‘cuvee’ is a winemaker’s term referring to the way grape varieties and vintages are blended to produce first class wines. Peterson House produces a great range of sparkling wines, including some unusual sparkling whites. You’ll find they have Pinot Noir Chardonnay blends as well as sparkling Shiraz, Cabernet, Merlot and Chambourcin wines. Naturally the Restaurant Cuvee celebration menus are designed to showcase and complement Peterson House’s wine offer. Featuring fresh, seasonal produce and modern Australian cuisine, the venue recently won Restaurant Wedding Caterer 2012 for northern NSW. Now that you have an idea of what’s on offer, it’s time to find out more about Restaurant Cuvee Peterson House. We’re sure you’ll have a wedding to remember! With its stunning landscapes and plethora of venue options, the Hunter Valley is the location of choice for many a wedding. From ceremonies held at quaint stone churches nestled in the countryside, to services boasting a backdrop of rolling hills and grapevines, the Hunter Valley is a wedding location steeped in tradition. But while it does lend itself to traditional, and dare we say quite formal affairs, there’s also plenty of scope to have something different. 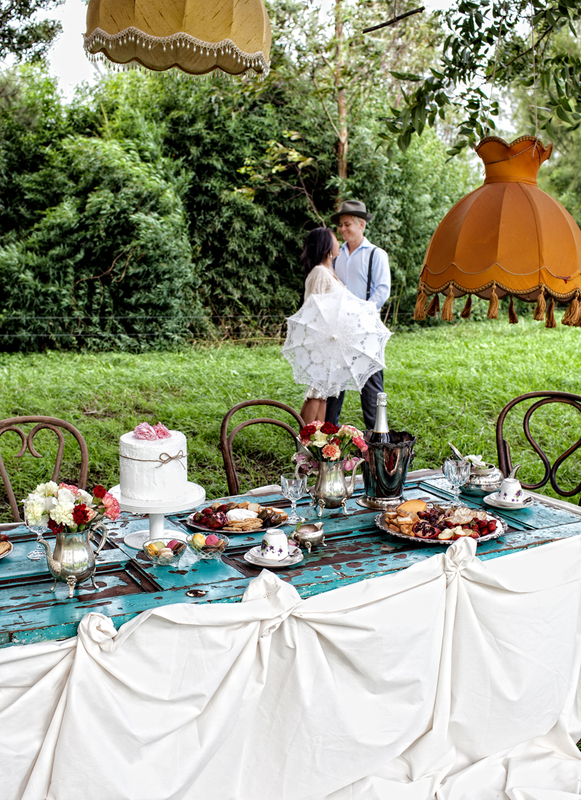 Here are a few ideas to help you organise a fun, quirky Hunter Valley wedding. The first step in organising an unusual wedding is to look at whether you can carry a theme. Not just a colour scheme, something based on a significant interest that you and your partner have in common. We’re thinking perhaps you’re into online games. Or, are you avid fans of film genres, such as classic Hollywood ‘noir’ films of the 50s, or fantasy epics like Lord of the Rings, or Star Wars? You might have met through an interest in medieval re-enactment or renaissance fairs. Vampires, and gothic style might be your thing, or maybe you always dreamed of running away to the circus. If you’re up for something really different, any one of these ideas offers myriad ways for creating a quirky wedding. Let’s look at a couple of them in more detail to help get your creative juices flowing. Be wild and wacky and get everyone to dress as a circus character. Or you might want to wow the crowd at the reception with a Cirque du Soleil-style acrobatic troupe. Dress your MC as a ringmaster, and have roving performers – you could even have an area where guests can learn a few simple circus tricks. Having a circus theme can allow you to clown around with a bit of slapstick and a custard tart or two for smooshing, or be elegant with lots of sparkly costumes and props, and a slick show to entertain your guests. Medieval and renaissance themes are a fabulous opportunity for everyone to dress up and tuck into a banquet! Entertainment can involve hiring ‘knights’ to put on displays of knightly prowess, or strolling troubadours and jugglers to entertain your guests while you have your photos taken. At the reception, whether indoors or outdoors, everyone can sit on benches at long tables, with a single top table raised on a dais with banners draped behind. While you might have a shared interest, it doesn’t have to take over your wedding! If a theme isn’t your idea of a good time, there are many other ways to create a beautiful, yet quirky wedding. 1) Making a weekend of it. There’s so much to do in the Hunter, including balloon trips and guided bushwalks, as well as wine-tasting and fine food to enjoy. You might decide saying your vows while gently floating above the earth in a balloon is the most intimate and romantic ceremony ever. 2) Creating a picnic setting in a secluded area of your venue. Think hand-made bunting strung between the trees, individual tea lights in reclaimed glass jars, cushions and picnic rugs scattered about, along with lawn games for people to play and straw bales to sit on. Now you have some ideas, are you ready to take the plunge? With Hunter Bride’s resources to hand, you’ll find organising a quirky Hunter Valley wedding is a breeze. And if you do decide on a quirky wedding, head over to our Facebook page, and tell us all about it! The Hunter Valley might almost have been specially designed by nature to provide a stunning backdrop for romantic weddings. Its moderate climate, extensive vineyards and beautiful landscapes have long made it a popular spot to celebrate that most special of days with friends and family. 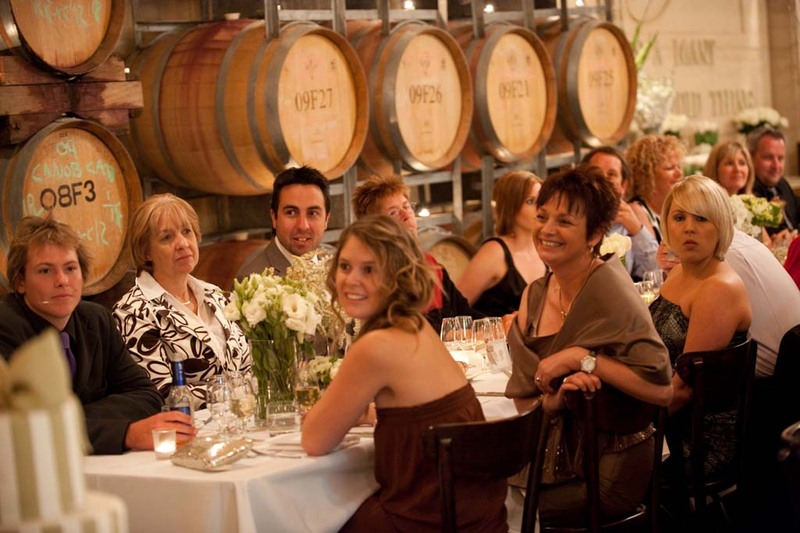 However, planning a wedding in the Hunter Valley wine region does usually mean organised transport is required, as the venues can be fairly widely spread out. But while you might need a Hunter Valley wedding car on a practical level, that doesn’t mean you can’t enjoy the experience. If you’ve ever hankered to find out what it’s like to be a celebrity, and emerge from a snazzy car to the flash of cameras, then your wedding day is the perfect time to indulge your fantasy. There are lots of options to choose from to ensure you travel in style. You might choose a modern limousine or something like a stretch hummer to go with a contemporary wedding, treat yourself to a vintage Rolls Royce to complement a more retro style, or go movie glam with a 60s convertible. And although it’s not strictly a car, some wedding car companies may also be able to provide alternative wedding transport, such as a horse and carriage. Whatever your choice, you can be sure that your vehicle will be gleaming and immaculate in every last detail. This extends to your driver too. He or she is much more than just someone sitting behind the wheel. As well as being dressed to accessorise the car in a picture perfect uniform, you can expect your chauffeur to open doors for you, and help you in and out of the vehicle. Wedding cars also often feature in the backdrop of a selection of the wedding photos. Using the car gives your photographer the opportunity to stage slightly different shots. When organising wedding transport, think about how many people need to be transported. While you may prefer to book a single special vehicle for your arrival and your subsequent journey with your new spouse to the reception, some weddings may require a whole fleet of cars. Should you desire, you can organise vehicles for the parents of the bride and groom, and the bridal party. The only limitation might be the size of your wedding budget! 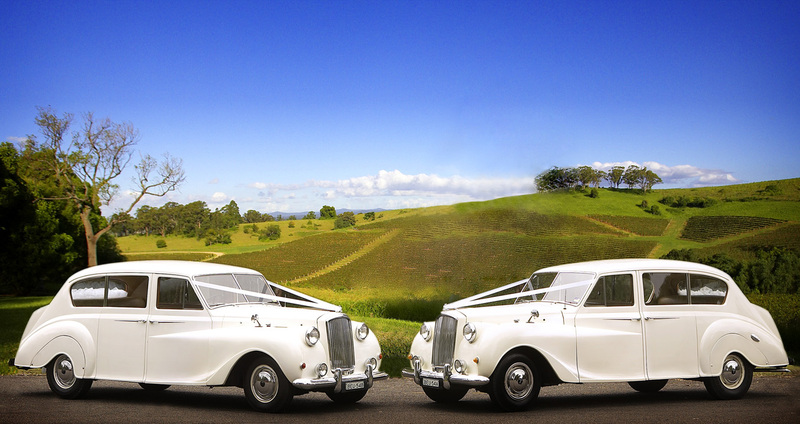 Remember to think about your style of dress when looking for a Hunter Valley wedding car. You need to be able to get in and out of the car elegantly, so a low-slung convertible might not be the best choice for a slim skirt, for example. If you are planning an unusual wedding and/or reception location, such as a rural picnic or cliff top beauty spot, do remember to discuss this with wedding car providers as well. They’ll need to be able to drive up and park safely so that you can make your glamorous entrance. As you and your beloved travel from the wedding ceremony to the reception venue, it will be the first opportunity you will have had to be alone as a married couple. Even if the journey is a quick one, talk to the hire company about a short stop at a scenic spot, so you can assimilate the emotion of the ceremony, before plunging into the reception. Many companies are willing to provide a little extra special treat in the form of champagne for you to enjoy, ensuring you arrive at the reception with an extra buzz! 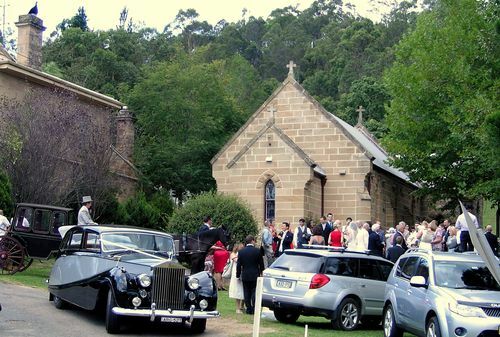 When you are ready to book a Hunter Valley wedding car, Hunter Bride provides the shortest route to your goal. Our directory lists wedding car providers in the Hunter Valley and the surrounding area, so it’s easy to find just what you need for your celebrity moment.